Rock Creek Wellness provides laser treatments that stand at the top of science and medicine, specializing in treatments for facial and skin rejuvenation, sun damaged skin, age spots, and hair removal. *With our help, you may be able to rejuvenate your skin more quickly, affordably, and effectively than ever before. *Our lasers use advanced technology to treat diverse conditions. *These non-invasive treatments offer desirable results with less of the discomfort often associated with other treatments. And, because we offer cosmetic laser procedures and skin care at a greatly reduced price compared to other laser centers in the Kansas City area (35-50% on average), you have the opportunity to take advantage of these treatments at a convenient location close to home. Our laser treatments are supervised by board-certified physicians who are experienced in skin and age management. We specialize in state of the art cosmetic laser treatments for facial and skin rejuvenation, sun damaged skin, age spots, and hair removal. 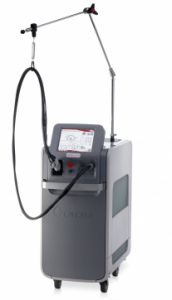 *Using Candela’s GentleLASE PRO, the newest and best laser hair removal laser system to date, you can be confident when you renew and refresh your appearance. Are you tired of spending too much money on expensive razors or waxing? *Laser energy can eliminate your unwanted hair without the need for recurrent plucking, shaving, or waxing. *It not only removes hair, but it also may permanently reduce the quality and quantity of remaining hair. *The simplicity of this treatment makes it simple to treat the hair removal needs for both men and women. Interested in laser hair removal or skin care procedures? Contact Rock Creek Wellness today to schedule a consultation.